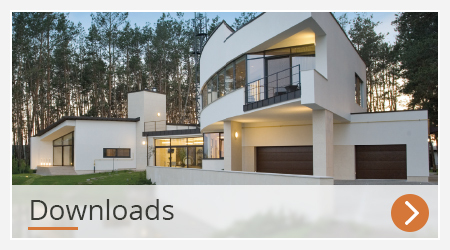 Whether you are choosing windows for a new house, an extension or a renovation, one of the first decisions you will have to make is to choose the type of window and what the window is made from. 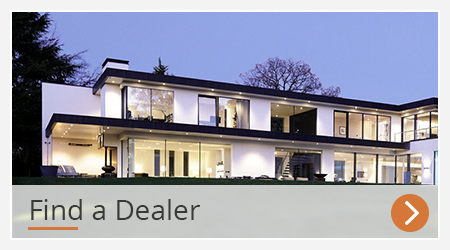 Most suppliers will only talk about the windows that they offer. This guide provides an impartial and comprehensive summary of all the options that are available. This is the most common type of window used in UK housing. The windows are usually divided into several sections or ‘inserts’ that open outwards. Opening windows are usually hinged to the side or the top. Casement windows can be modern or traditional in appearance. This is a type of window most associated with Continental Europe. Typically these inward opening windows are designed with a smaller number of large inserts and tend to look more modern. Turn the handle through 90° and the window tilts inwards on the bottom hinge; turn the handle through 180° and the window swings inwards on its side hinge. In keeping with the original design, weights are suspended on cords and housed in the box outer frames. The weights counterbalance the weight of the opening window. allow the windows to be rotated about a horizontal axis for easy cleaning. Primarily designed for flats, these windows usually have a simple design and can be fully rotated for easy cleaning from the inside. Seldom used in domestic situations, the parallel opening window is most commonly seen as part of a curtain wall facade. The window is mounted on ‘scissor hinges’ that enable the window to open by moving outwards on all sides, keeping in the same plane as the surrounding wall. 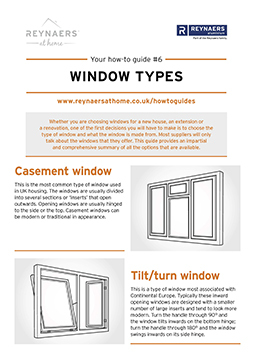 A fixed light or fixed window can be made to complement any of the opening window types described in this guide. They can be very large as the maximum size is not limited by the weight a hinge can carry. Curtain wall is a glass facade most often associated with commercial buildings like office blocks. On a smaller scale, curtain wall can have some very striking applications in domestic properties, particularly in creating a double height atrium or stairwell.